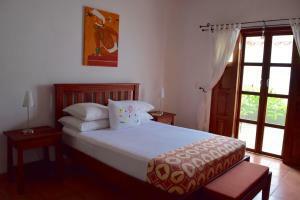 ﻿ Best Price on El Bosque Hotel in Copan Ruinas + Reviews! Offering a restaurant and tropical vegetation surrounding, El Bosque Hotel is located 0.6 mi from Copán Museum and from archaeological park. It features a garden and a 24-hour front desk. The rooms here will provide you with a flat-screen TV, air conditioning and cable channels. Featuring a shower, private bathrooms also come with free toiletries. You can enjoy a garden view from all the rooms. Extras include a desk. 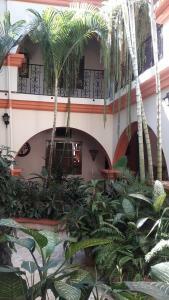 Guests at El Bosque Hotel can find restaurants offering Peruvian food and regional dishes. 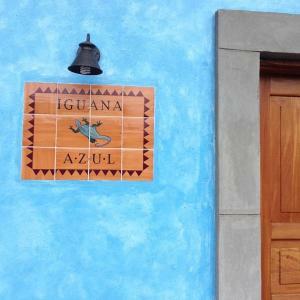 The property is 0.6 mi from the craft market and 1.6 mi from Macaw Mountain. Copán city center is 0.9 mi and Ramón Villeda Morales International Airport is 114 mi away.